What if you spend your career embalming corpses, and then everybody decides to get cremated? Someday, you’re going to die. And someone will have to deal with your shell. But who does that kind of thing? As Tom Jokinen shows in Curtains: Adventures of an Undertaker-in-Training, it’s complicated. When Jokinen quit his job at the Canadian Broadcasting Company, his co-workers thought it was kind of weird. As an undertaker’s intern, he would be burying people instead of digging up news. Funeral homes in Winnipeg — as in many North American cities — are largely owned by conglomerates that grew through purchasing and absorbing small mortuaries (which had likely been family-owned for generations). But as Jokinen learned, that’s not the only change the funeral industry has seen. Over the years, cremation has gained a major foothold, which is a source of consternation among funeral directors. Full funerals, complete with embalming and casket, are enormous money makers (they are, Jokinen says, the “third-biggest cash outlay in our lives after a house and a car”) but for myriad reasons, rites with pomp and circumstance are becoming rare. Jokinen apprenticed with funeral director Neil Bardal, who could see that the future of his business didn’t involve nice big, expensive cherry-wood boxes. Bardal hailed from a long line of undertakers, and he owned a “full-fig” funeral home as well as a crematorium. Through his short tenure, Jokinen learned to receive bodies and embalm them. He observed cremations and processed cremains. He learned from embalming artists who tackled impossible situations and made bodies look presentable for decedents’ loved ones. From the Library of Death to a tiny Mennonite ceremony, from a funeral trade show to an entire city of graves, Jokinen examines how we deal with the end of life — though more in a psychological sense than a practical one. “People pay us to keep to ourselves what goes on [in the mortuary],” he says, but this book gives readers a pretty good behind-the-scenes impression without going into gruesome detail (though Jokinen gets graphic enough). 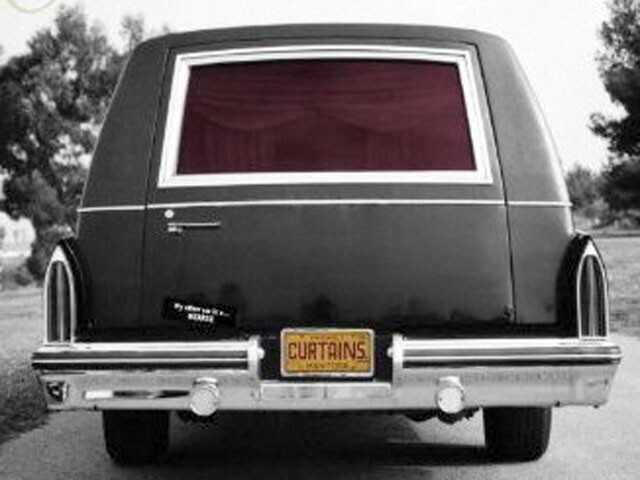 While Curtains is probably not for anyone who’s recently or soon to be bereaved, it’s great if you’re curious about what happens after you die.